Netflix admitted to engaging in a practice known as "throttling." But net neutrality advocates and industry experts say they are skeptical that this scandal could harm the entertainment juggernaut's image or bottom-line. LOS GATOS, LA: Netflix’s recent disclosure that it decreases the quality of mobile streaming for AT&T and Verizon users stirred outrage in some Internet circles. But net neutrality advocates and industry experts told PRWeek they are skeptical that this scandal could harm the entertainment juggernaut’s image or bottom-line. The Wall Street Journal reported last week that Netflix admitted to engaging in a practice known as "throttling." When AT&T or Verizon users stream video using their data plan, Netflix caps its streaming speed at a far lower speed than expected for a mobile plan. Netflix claimed it was doing this to "protect [its] members from overage charges." Experts told PRWeek that although Netflix should have been more transparent, the issue has no bearing on the larger debate of net neutrality and should not taint its image as a vocal proponent of an Open Internet. Matt Wood, policy director at Free Press, an organization that advocates for an Open Internet, labeled the entire affair as a "false overreaction" — a non-scandal. "I understand the buzz around it, but it’s not a traffic violation," he told PRWeek. Wood admonished the "clumsy" way Netflix handled the default cap on streaming speeds by not being "transparent." But his ire was mostly directed at what he perceived to be as an attempt to "muddy the waters" and attack net neutrality regulation by the FCC. "It’s between them and their users," Wood said. "Whether they’re the bad guy or not, it doesn’t do anything to change the argument for net neutrality." Netflix is a user, not a provider, meaning the FCC regulations don’t apply to them, Wood said. "Maybe this has a ripple effect in the short-term," Wood said. "But over the long-term, I don’t think people will have any trouble discerning between [carriers like] Comcast and Netflix." Jan Ozer, a consultant that helps companies optimize their streaming video, said he believes business concerns factored heavily into Netflix’s decision-making process to throttle mobile video without disclosure. Overage charges on data plans could drive away customers, he said. "If they had done this [disclosure] five years ago, maybe that would’ve been the smarter choice," Ozer said. "If it took five years for this come out, how big of a burden was it? But I do think it was a mistake." Comparing Netflix to Apple’s one-size-fits-all model, he argued that the decision to set a default cap was designed to streamline the service. "Given how broad the market is for devices, the fewer options there are the better," Ozer said. "If you add complexity, people complain. 99 percent would probably prefer to watch video in lower quality than have their data caps busted." Netflix’s admission fomented a hot-blooded response from the AT&T C-suite. Jim Cicconi, senior EVP of external and legislative affairs at AT&T, said the carrier was "outraged." Slate.com dedicated a blog post to the news on Friday, saying it’s "messed-up" and "smacked of hypocrisy," highlighting Netflix’s position in favor of net neutrality laws. 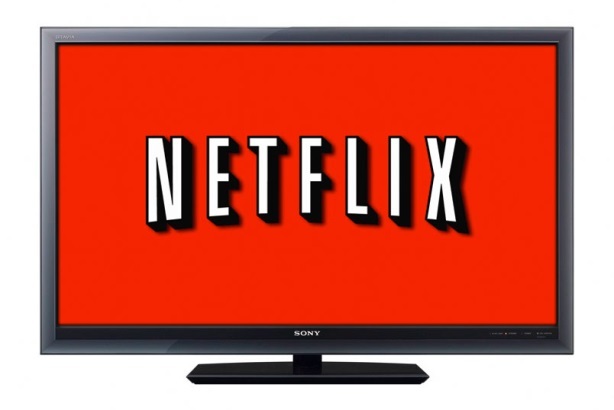 A Forbes piece on Monday insinuated that what Netflix did could be illegal by hindering the competitive process. Even the FCC tweeted a thinly veiled swipe at the streaming service last week. Netflix announced last week it would roll out a "data saver feature designed for mobile apps" sometime in May. This feature will "provide members with more control over their data usage when streaming on mobile networks," allowing them to adjust their streaming quality depending on the size of their data plan. Ozer said a majority of its users would likely choose the lower data plan option.